Keeping in sync with time, we are able to offer Smart Field Meter to respectable clients. The offered range of smart field meters is made utilizing high grade components by dependable associates of the market. Along with this, the offered range of smart field meters is suitably checked on different characteristics to ensure its tandem with the industry laid norms and standards. Our customers can avail Conductive Fabric Tape from us. The offered range of conductive fabric tapesis designed utilizing optimum grade fabrics and innovative techniques in strict adherence with the industry laid norms and standards. 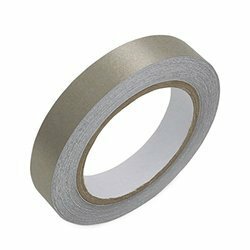 Along with this, the offered range of conductive fabric tapes is suitably checked on different characteristics to ensure that defect free products are delivered at customers' premises. Looking for EMI Shielding ?